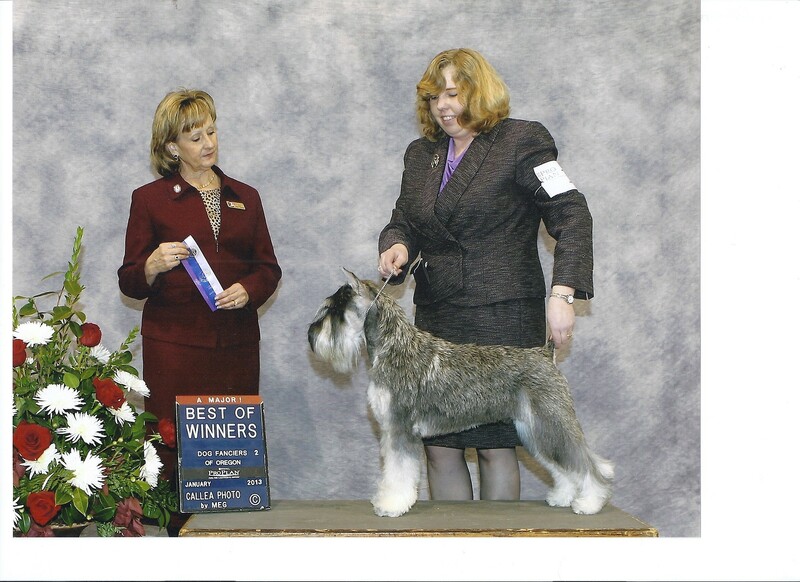 Arthur is now a AKC Champion 15 points with 3 majors Currently has 8 points and 1 major Grand Champion points .We will be working on his Grand Champion points in 2017. Arthur is a up and coming dog that will make you want to watch him show and glide in the ring. He has everything you want in a show dog. 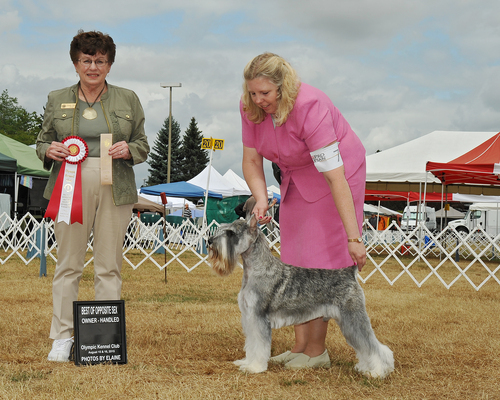 Arthur was in his first Hand strip Intermediate divison groom show at the Pacific Northwest Groom show in Tacoma, WA 04/15 We took 3rd place for our first time! Not bad! He will be borrowed by Cat Opson one of a well known dog groomer compeitior in the USA. She will use him at the Pacific Northwest Groom show on 4/22/16 in Tacoma, WA Cat Opson is on the Groom Team USA this year! Cat Opson has asked to use Arthur again this year in the Pacific Northwest Groom Show in April 2017. Of course I said sure! Arthur is a stunning dog. He has excellent movement and flows in the ring. He has a great topline and carries his tail nicely. He is proud when he gaits in the ring. He has a nice neck and head and a realy nice wiry coat.